Are you one of those people who just can’t imagine how sitting quietly on a cushion for a set number of minutes focusing on your breath can in any way be advantageous to your health or make your life brighter? Meditating for the past two years has improved my life in many ways. It has made me more responsive and less reactive. In the past I could be quite dramatic and overly emotional. But since meditating, I find myself responding more to negative events instead of reacting and adding to the negativity of the event. If someone cut me off in traffic I used to yell and maybe even race to catch up to them so they could see my anger. Now I am more likely to take a deep breath, stay focused on my safe driving and be glad I’m not in THAT big of a rush; or if someone says something in an uncaring way or there is conflict of some sort, I am more likely to be able to respond with love and concern. Meditation has also helped me sleep better. I was waking up this week a few times each night. 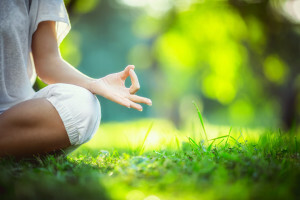 Instead of getting angry about it and starting the wheels churning about why this was happening and thinking, “Well, I might as well start planning my day and creating my to-do list,” I chose to lie still and use my techniques for meditation. For me that means focusing on my breath and a mantra. I had to consciously make that decision to switch into meditation mode versus worry/anger/frustration mode and it worked! Of course, meditation isn’t learned in just a few sessions and maybe that’s why more people don’t do it. It takes time to reap the benefits. Sometimes I forget just how much it is helping me until I go a few days without it and I begin to become irritable or I wake up more than usual at night. But I have found meditation to be a huge help in many areas of my life and sleep is one of the biggest – and with a good night’s rest, everything seems so much brighter. Find out more at Secrets to Meditation. So glad you found the post helpful, Kristina.Thanks for stopping by.